We Sell Name Brand Apparel! Exclusive All-Season Polos, Jackets, Hats and Tees.In addition to our many preferred and trusted brands, Queensboro offers a line of flattering, customizable apparel exclusive to Queensboro.com. Our personal brand of high-quality, breathable printed and embroidered polo shirts - as well as our seasonal all weather nylon and fleece jackets, printed and embroidered hats and tees - personifies our commitment to affordable, yet stunning custom apparel. Innovative Outerwear, Never Stop Exploring. For more than 50 years, The North Face has been known for its innovation of durable, hardworking outerwear, using only the most advanced materials for construction of their products. Queensboro is proud to offer such high-quality, trusted apparel to our customers for custom embroidery. We offer a carefully curated collection that includes waterproof rain jackets as well as water resistant, wind proof soft shells that are wearable throughout the chilly season. There are also performance fleece jackets and 1/4" zips that make perfect layering pieces. Gear that has your back all day, every day, 24/7. Carhartt, the original workwear brand founded in Detroit, Michigan USA in 1889 has been making enduring products to serve and protect hardworking people every year since. Gear that's born out of respect for the hard-earned dollar to be high quality, extremely durable, and forever counted on to function in the worst conditions and weather. Functional, High Quality Clothing and Accessories. Our styles of Port Authority custom apparel vary in texture, materials and cost. We're able to provide an expansive collection of Port Authority shirts, silk touch polos, cardigans, and dress shirts for both adults and children. We even offer laptop sleeves, beach towels, and bags that can be customized with a finely stitched embroidered design of your choosing. The versatility and outstanding reputation of Port Authority products can be yours at our competitive Queensboro prices. Athletic and Vintage Inspired Casual Apparel. At Queensboro, there's Gildan custom apparel for the entire family. For adults, we have a wide variety of printed cotton t-shirts, long and lean tank tops, and sporty look sweatshirts in bold, vibrant colors. For children, we have a selection of toddler and youth cotton t-shirts and sweatshirts, available in multiple colors that can match any printed or embroidered design. The affordable pricing and endless customization possibilities for our Gildan apparel make it an ideal choice for any group, company or organization seeking a sporty look for their logo apparel. Environmentally Conscious, Casual Apparel. District Clothing is a fashion forward brand with many unique, environmentally conscious style options. The line is segmented into two groups District and District Made. District Tee shirts are fitted by design and are made specifically to suit a younger customer. For instance, a college student or concert goer might choose our 7381 Young Men's Very Important Tee or our 7336 Young Men's Concert Tee. District Made shirts are looser fitting with wider size ranges and they are tailored to the more mature or "grown-up" customer. Think executive on the weekend or relaxing on a picnic. District Clothing appeals to young and old alike with so many styles to choose from and at competitive pricing, District Clothing is a great choice for your custom embroidered apparel. Versatile, functional, backpacks, bags, and polos. Queensboro sells a wide selection of customizable OGIO apparel and bags. Popular with small businesses and tech savvy professionals seeking an impeccable sporty look, OGIO performance polos, OGIO duffel bags, backpacks and messenger bags are ideal for the busy worker bee on the go. 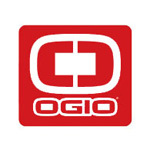 Comfortable, breathable fabrics such as mesh, pique and polyester are frequently used in OGIO products. Stylish, Vibrant Custom Hats. Custom embroidered New Era caps offer a trendy alternative to traditional custom baseball hats. Queensboro's New Era flat billed snap back hat, as well as our stretch fit cotton cap, come in bold, modern colors ideal for a company, group or organization looking to stand out. 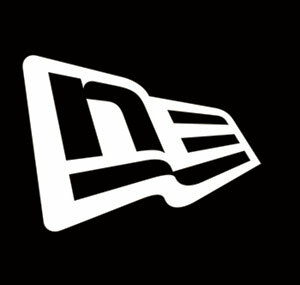 New Era hats can be personalized with any embroidered company logo or personal design. Top Quality Sports Wear and Performance Apparel. U.S. Sportswear titan Nike is a household name due to the unmatched styling and quality of their performance apparel and accessories. Custom Nike apparel can be yours for an affordable price at Queensboro.com. Browse our Nike golf shirts, such as textured and dri-fit polos, customizable wind jackets and durable hats that are comfortable and multifunctional. Polyester, Spandex, pique mesh, textured knit, and twill are primarily used in Nike clothing. All Occasion Apparel and Signature Outerwear. Eddie Bauer is a brand synonymous with the great outdoors. Align your company with the trusted Eddie Bauer name with custom Eddie Bauer apparel personalized for you by Queensboro. We offer a colorful library of lightweight, water resistant embroidered jackets, warm, durable vests and fitted performance fleece straight from Eddie Bauer. Perfect for outdoor use, our customized Eddie Bauer clothing is layerable, making them a functional staple of your wardrobe year round. Affordable Outdoor Accessories and Apparel. Thanks to Port and Company, the search for affordable custom outdoor accessories is over. If you're seeking an alternative to custom apparel, choose from a variety of striking sport duffels, tote bags and visors ready for you to customize. Queensboro's Port and Company duffel bags vary in size and style, making it easy to find the ideal sports bag for your needs. Breathable, Weather Resistant Outdoor Jackets and Apparel. Queensboro is proud to offer our customers Sport-Tek weather resistant custom jackets and apparel. Offering clean lines and a gently contoured silhouette, these lightweight customizable jackets are perfect for outdoor sports and activities, providing enough protection from the elements while keeping the wearer cool and dry. Our well ventilated, embroidered custom Sport-Tek jackets are ready for your embroidered logo or design.